John has had a passion for animals his entire life. Growing up with dogs and cats, a monkey, pet racoon, fish of all varieties, well you get the picture. His passion for animals is an integral part of his being. John has a Bachelor's Degree in Economics and Political Science from Dalhousie University and an Executive Master's Degree in Business from Saint Mary's University. 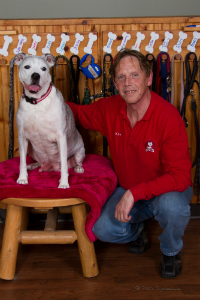 He is a Certified Canine Specialist, Certified in Pet First Aid and CPR and trained in dog behavior and play yard management. After 25 years as an executive in the corporate world he was able to realize his dream of combining his business acumen with his love of animals and affinity for fellow animal lovers by opening Camp Bow Wow. What I love most about my job: Getting to meet and know so many wonderful pups and their unique individual personalities. We are extremely fortunate to be surrounded by them every day. We are grateful for the warm relationships we have with each other, pet parents and the many animal advocacy and rescue groups we work with and support. We smile and laugh many, many times a day, every day and appreciate the caring and positive environment Camp Bow Wow provides us. Background: Amanda has a background in the service industry at all levels including Management positions and is extremely active in sports. 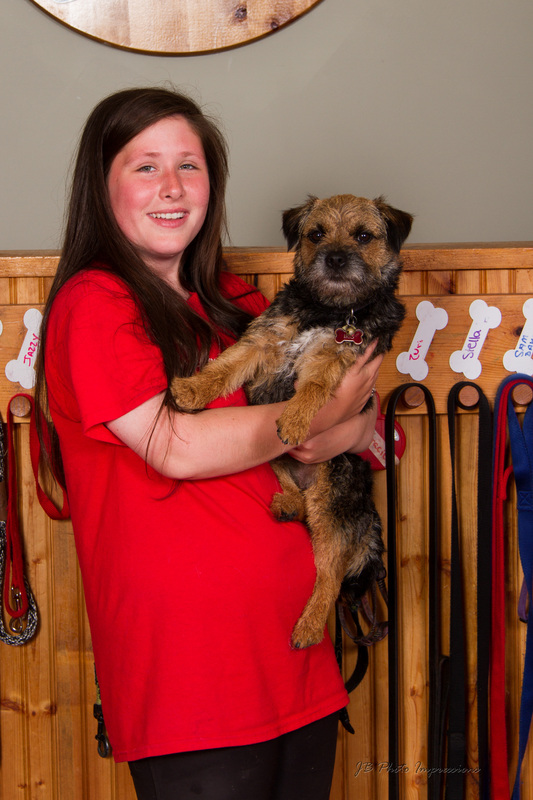 Additional Skills/Qualifications: Amanda is a Registered Nurse and is Certified in Pet First Aid and CPR and dog behaviour and play yard management. What I love most about my job: The smiles and laughter the pups bring out in us. Background: Brittany has experience in an Animal Hospital setting and the pet food industry. 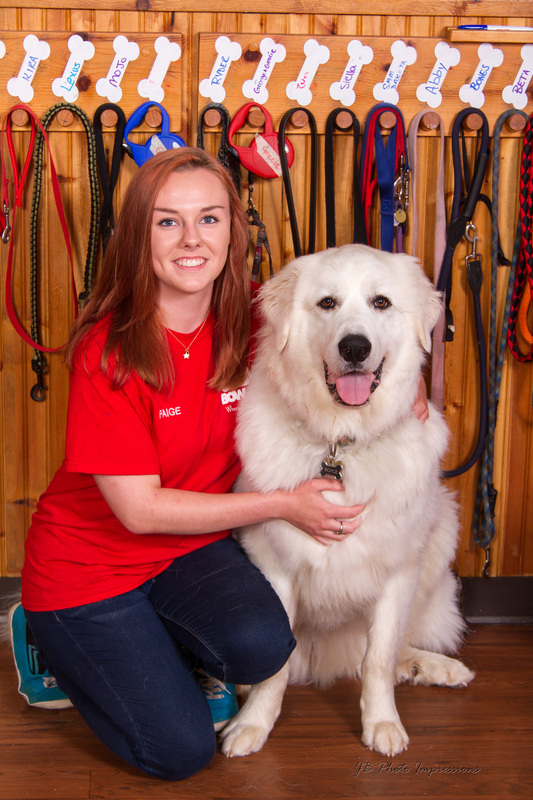 Additional Skills/Qualifications: Brittany is Certified in Pet First Aid and CPR and dog behaviour and play yard management. What I love most about my job: The realtionships developed with the dogs, my co-workers and clients. Background: Katelyn has a background working in the Veterinary Hospital and child day care industries. 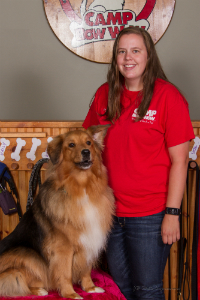 Additional Skills/Qualifications: Katelyn is a Certified Veterinary Assistant, is Certified in Pet First Aid & CPR and trained in dog behavior and play yard management. What I love most about my job: The dogs that have special quirks, ones with "attitude" lol. 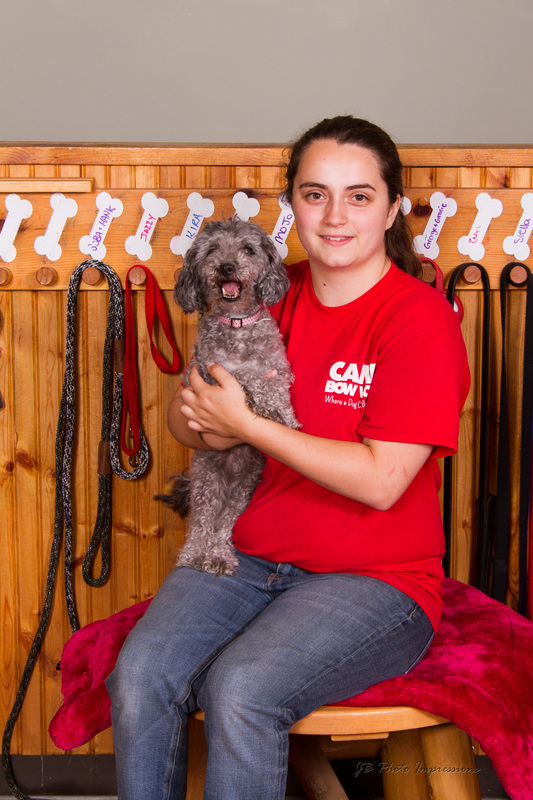 Background: Kelsey has a background working in the Pet Food and Pet Grooming industry. Additional Skills/Qualifications: Kelsey is a Certified Veterinary Assistant, is Certified in Pet First Aid & CPR and trained in dog behavior and play yard management. What I love most about my job: The fun we have with the dogs and each other. Background: Lori has a background in working in the Animal Hospital environment. 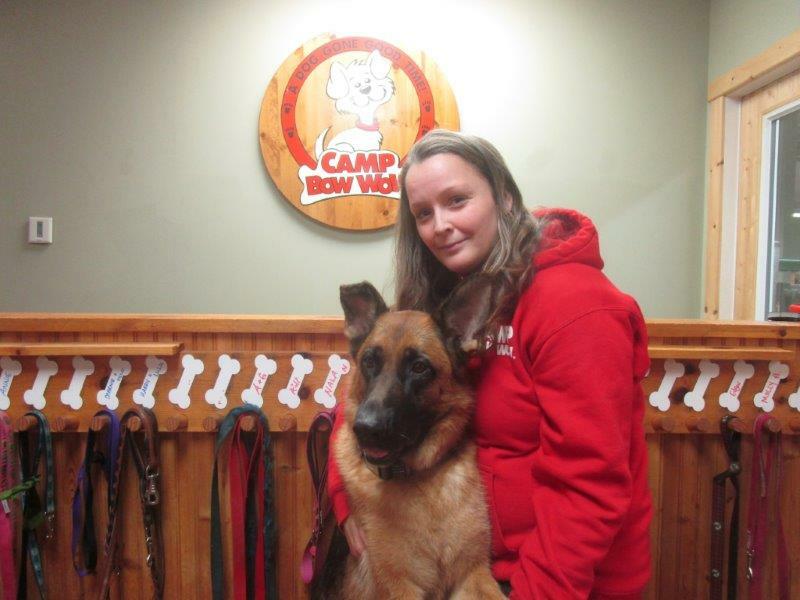 Additional Skills/Qualifications: Lori is a Certified veterinary Assistant and is Certified in Pet First Aid and CPR and dog behaviour and play yard management. What I love most about my job: The laughs so many dogs and my coworkers share on a daily basis. Background: Mikaela has a background in an Animal Hospital setting and the pet food industry. Additional Skills/Qualifications: Mikaela is Certified in Pet First Aid and CPR and dog behaviour and play yard management. What I love most about my job: The dogs of course and the friendly atmosphere at Camp. Background: Miranda has a background in both the service and retail industries and years of participation in school athletics. Additional Skills/Qualifications: Miranda is Certified in Pet First Aid and CPR and dog behaviour and play yard management. What I love most about my job: Being active and physical all day. Background: Paige has a background working in the service industry. Additional Skills/Qualifications: Paige is a Certified Veterinary Assistant, is Certified in Pet First Aid & CPR and trained in dog behavior and play yard management. 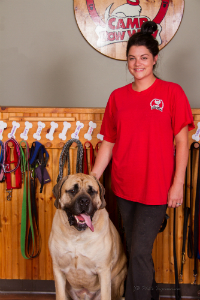 What I love most about my job: So many things, the toy breeds and the giant breeds. Background: Paula has a background in child care with the YMCA and YWCA as well as retail experience and is a member fo the Canadian Military. Additional Skills/Qualifications: Paula is Certified in Pet First Aid & CPR and trained in dog behavior and play yard management. What I love most about my job: Helping the special needs dogs that require extra TLC. Background: Renee has a background in the dog day care and boarding field. Additional Skills/Qualifications: Renee is Certified in Pet First Aid and CPR and dog behaviour and play yard management. What I love most about my job: Dogs and more dogs, I just adore them all. Background: Tiffany has a background in the service industry and is an active member of a well known Dog Rescue organisation. 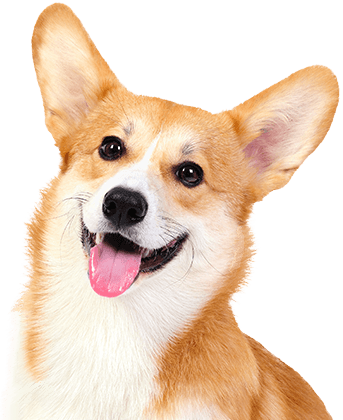 Additional Skills/Qualifications: Tiffany is Certified in Pet First Aid and CPR and dog behaviour and play yard management. What I love most about my job: How attached we become with so many of the dogs in our care. Background: Maureen has had a love of dogs since childhood. A long time regular at local dog parks, maker and retailer of dog treats and master dog kisser. Her familiarity with everything dog, understanding of canine behavior and natural affinity for them has made her much sought after by several dog related businesses. When asked at her interview to work at Camp if she could see herself in that role for some time her response was, "If I am hired this will be the last job I ever have". We certainly hope that is the case and after twelve years it is looking good! Additional Skills/Qualifications: Maureen has a Teaching Degree and has worked in that field as well as in the financial and sales industries. 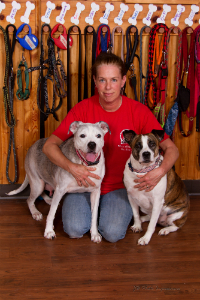 She is a Certified Dog Trainer, is Certified in Pet First Aid & CPR and trained in dog behavior and play yard management. What I love most about my job: The strong bonds formed with so many dogs, their parents and our Counselors. My pets: Jodi,Penelope, Eddie and Buster.